We bring a unique blend of marketing expertise, front-line direct sales experience, and in-depth technical knowledge combined to present systematic, asymmetrical solutions and a measurable ROI. Unlike many other consulting firms, we not only provide you with solid strategic intelligence but also a comprehensive tactical implementation plan... THAT WE IMPLEMENT FOR YOU. We've assembled a crack team of specialists who are "authorities" in their niche area. We've worked with many of them for years and know that they are some of the very best in their individual fields. We look at things from the outside in and provide insights based upon our years of experience working with different clients in different industries and bring new insights to enable your management team to gain marketshare. The asynchronous virtual team is developed and managed based upon the unique needs of your company by Bernard Martin. Mr. Martin has a unique background. Starting his career in finance and management & sales consulting Mr. Martin has had first hand experience in manufacturing, distribution and manufacturer’s agency management which gives him a very unique skill set. Very few people have had front line experience in every aspect of channels management. Mr. Martin has counseled with a multitude of manufacturers on the macro topics of strategic planning, distributor rationalization, product marketing, brand introduction as well as tactical iimplementation of pricing and discount programs, agent identification, Distributor and Agent contracts, trade show design & layout and incentive programming. 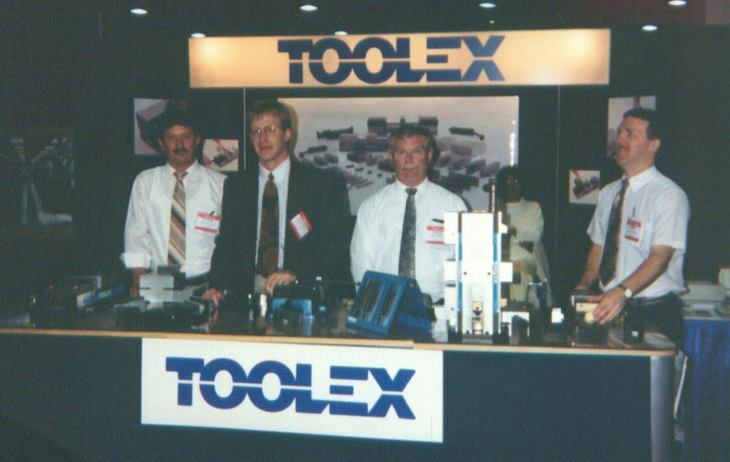 Mr. Martin was the VP of Sales & Marketing for Toolex and managed every aspect of their workholding product rollout. He later moved to Northern California and worked for Western Tool & Supply, one of the largest, privately held, cutting tool distributors in North America. In 2000, Mr. Martin started his own “rep” agency and quickly became the #1 sales agency and/or the #1 growth agency in the country for many of his principals. Mr. Martin’s agency was twice nominated as a Finalist in the Pittsburgh Technology Councils “Tech 50” awards. In late 2009, Mr. Martin became President of Highlander Tool, an industrial distributor based in Johnstown, PA. Starting from scratch he negotiated with over 180 manufacturers to develop a unique product offering. He also developed a custom database to manage the company as well as all identity pieces such as the Logo, line card, website, Twitter, YouTube, Facebook and Production Tool Catalog. Mr. Martin was invited to be one of five distributors in North America as a member of the Widia Distributor Advisory Council. Highlander Tool is a member of ISA and IBC networks. In mid 2010 Mr. Martin’s role at Highlander changed as he moved into a consultancy role at Highlander Tool and formed Rapid Production Marketing as a consultancy agency. Outside of his professional business experience Mr. Martin is “Managing Directorre” of the Italian Car Show, “The Cortile“, at the Pittsburgh Vintage Grand Prix. Mr. Martin developed the Cortile concept and has garnered international attention within the target demographic of this group. Mr. Martin is the “Social Media Marketing Director” at the Pittsburgh Vintage Grand Prix. He was instrumental in not only the strategic vision but all aspects of the tactical implementation of the Pittsburgh Vintage Grand Prix’s Social networking marketing program. From the creation of the Twitter feeds, Facebook page, YouTube Channel and Flikr sites as well as a special working relationship with SpeedTV in the beta rollout of their new website. Mr. Martin is also past President of Ambridge PAGE which works with the local school district to develop programming for Gifted Education Students. In July 2010, Mr Martin launched a new company, Rapid Production Marketing to develop plan, develop, implement and train automotive and industrial sector companies in the use and implementation of marketing tools.